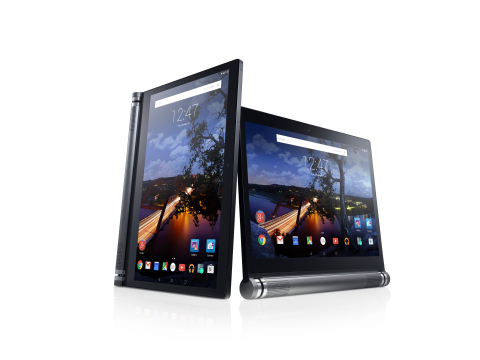 SAN FRANCISCO--(BUSINESS WIRE)--Dell today announced the Venue 10 7000, the latest tablet in its premium Android portfolio. The Venue 10 has a distinctive, razor-thin profile that is based on the same stunning design as the Venue 8 7000, which was the “Best of Innovation Honoree” from the Consumer Electronics Association (CEA) at CES 2015. 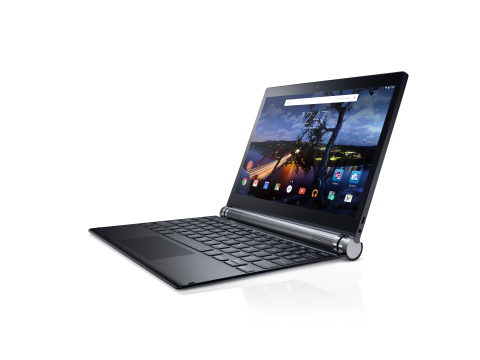 Dell today also announced an update to Android 5.0, Lollipop on the award-winning Venue 8 7000. Now, consumers and business professionals alike have two stunning options to make a statement with their tablet. The Venue 10 7000 features a sleek, futuristic design with a barrel edge making it easy to hold and carry, or slot into the magnetic, backlit keyboard that can position the tablet in five different configurations: tablet, slate, stand, tent or clamshell modes. Users can enjoy an immersive audio experience no matter how the tablet is positioned with MaxxAudio Mobile by Waves and front-firing stereo speakers. Like the Venue 8, the Venue 10 features the best tablet display technology available today, a brilliant 10.5-inch OLED 2560x1600 screen, a quad-core Intel Atom Z3580 processor, and the Intel RealSense snapshot depth camera, which takes a depth map for every picture captured. The tablet also features the intuitive Dell Gallery application with selective re-focusing and measurement functions, as well as smart albums to automatically organize photos. The Venue 10 combines stunning design features with enhanced productivity for the office to provide a compelling option for the mobile workforce. Both the Venue 10 and Venue 8 will ship with Android 5.0, Lollipop, and will be enabled for Android for Work. This platform makes it possible for business and personal information to securely coexist on one device, creating a reliable method for the mobile workforce to use the tablets for work and play. Business data is separated and encrypted, so important corporate data is not accessible to personal applications. The platform leverages multi-user support in Android to create a managed profile with its own set of secure applications that can be provisioned and controlled by IT and wiped remotely without touching personal data. Dell will also be offering Office for Android on the Venue 10 and 8 7000 this summer, which will provide even more productivity and commercial capabilities on Venue Android tablets. Dell business customers can also use Dell Mobile Management and Dell Mobile Workspace solutions to secure multiple device types and operating systems, including Android. Dell Mobile Management enables organizations to securely manage and provision access to smartphones or tablets from any device with a browser and internet connection. It also manages applications and content on the devices and enables users to self-enroll their devices for instant provisioning of corporate access and automated policy enforcement that provides added security. Dell Mobile Workspace creates a separate work environment on mobile devices. This secure workspace solution is a user-friendly application that gives users access to enterprise data and applications, while also protecting an organization’s confidential information. It provides IT with the ability to remotely enforce policies and encrypt enterprise data while allowing users to maintain privacy. Last month, Dell was recognized by Google for Work as the 2014 Education Partner of the Year at TeamWork 2015, the annual global partner summit. This award demonstrates Dell’s unwavering focus on education customers and strong collaboration with Google to enable schools to deploy, manage and support Dell Chromebooks successfully. Dell announced its latest Education portfolio in February, including the new Dell Chromebook 11, the Dell Venue 10 Pro tablet with Windows, the Venue 10 5000 tablet with Android and the Latitude 11 Education Series laptop. The Venue 10 5000 is now available in the United States and several countries around the world. With configurations specifically tailored for Education, its 10.1-inch HD or Full HD display helps bring content to life. Users have the ability to work in five different positions when configured with the optional, attachable and reversible keyboard. Based on Android 5.0, Lollipop, the Venue 10 5000 is one of the first tablets to be certified with Google Play for Education. The Venue 10 7000 starts at USD $499.00; $629.00 with keyboard. It will be available on Dell.com in the U.S., Canada and China in May 2015. The Venue 10 5000 is now available in the United States and select countries around the world starting at $299.00; $349.00 with keyboard. 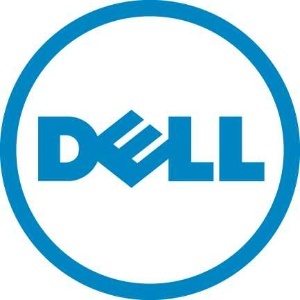 Dell and Dell Venue are trademarks of Dell Inc. Dell disclaims any proprietary interest in the marks and names of others.